I thought pumpkin patches were out of the question, but then on our ward Facebook page Jami inquired about a local one she heard of and all was well with the world! 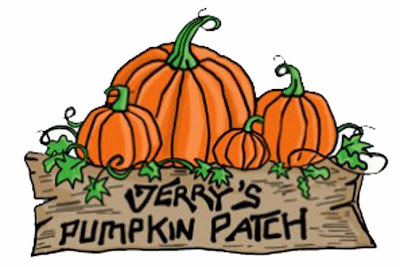 It's called Jerry's Pumpkin Patch and it's about an hour away. My wife, Lisa and I are Americans from Utah and South Dakota and have been living in Germany since 1982. Nine of our 10 children were born here and eight of them are still living here in the area. 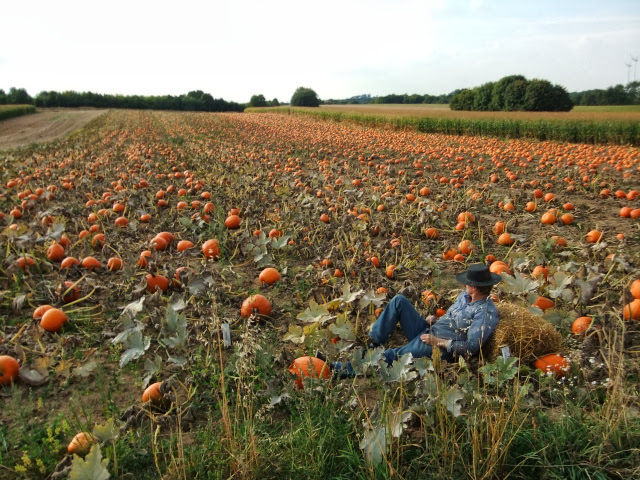 We have been raising pumpkins for the last several years and have enjoyed our association with the military community. 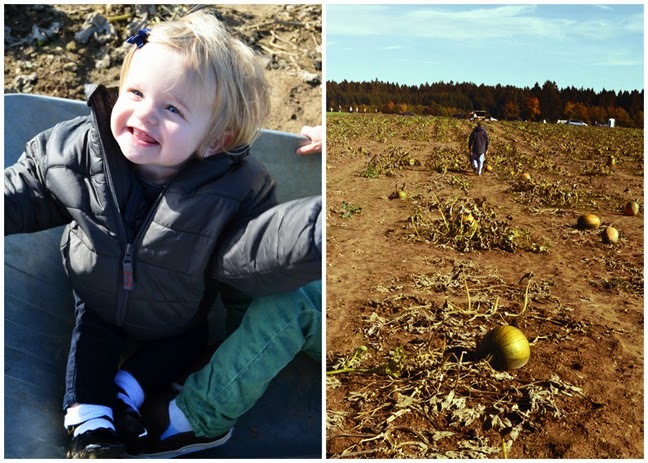 We would love to serve you in our pumpkin patch! Here's a picture from their website - we couldn't wait to go yesterday! Driving through the rolling hills and plethora of adorable towns in Germany. We passed by a convent. So cool. 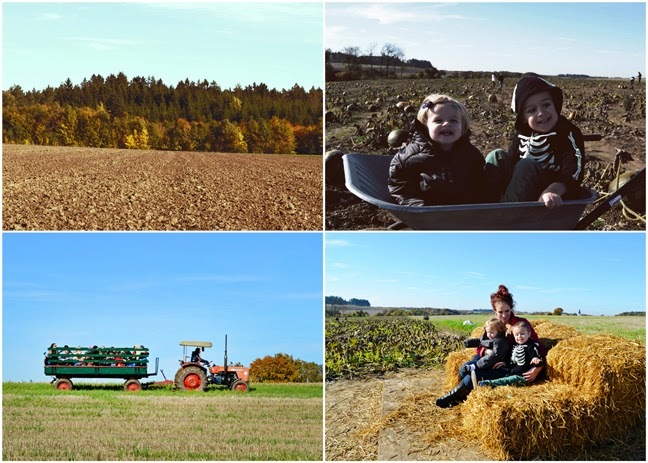 We got a quick debriefing about why all the pumpkins are mostly green - because they didn't get enough sun this year, lol. Where do we live?!? 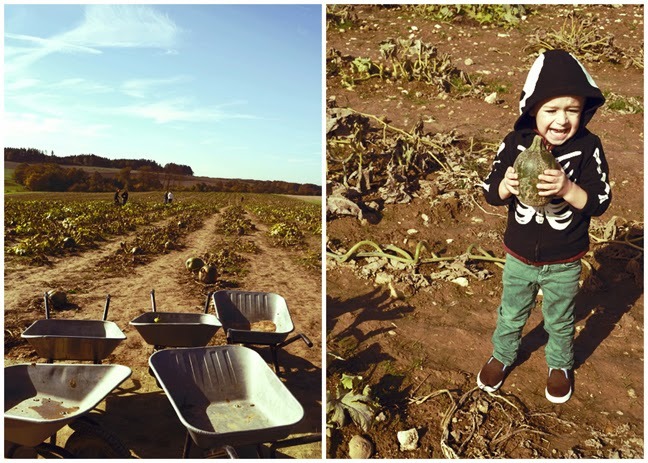 We loaded up the kids in the wheelbarrow and went in search of the perfect punkins. 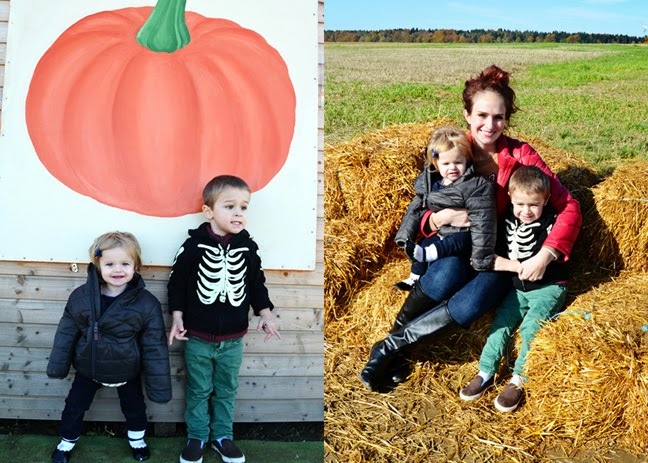 But seriously, we began our search for the perfect pumpkins. Fox found his pumpkin of choice and has been carrying it around ever since. Chris decided to embrace the green and chose the greenest pumpkin he could find. They were offering tractor rides, but we took a rain check. Next year for sure! This totally put me in the spirit of fall and Halloween! Nothing does that quite like a pumpkin patch can. 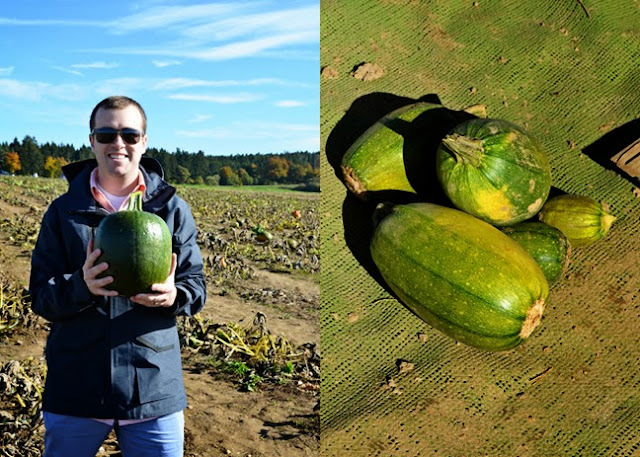 We'll always look back and remember our green pumpkins! 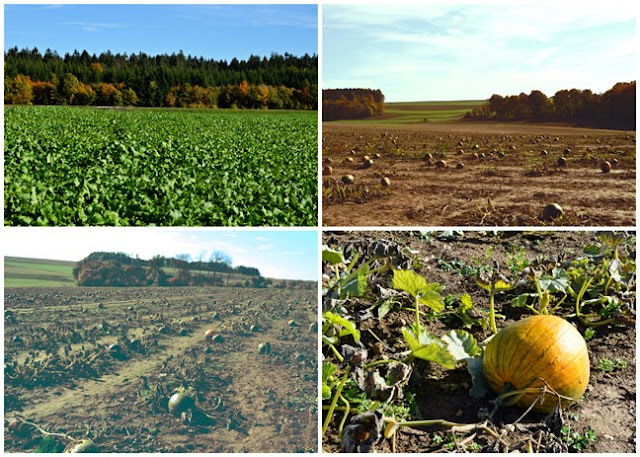 The green pumpkins are kinda cool ;) And wow, such a beautiful drive to get there! Awesome photos!!! So glad you found a patch to visit there!!! So fun you still got to go to a pumpkin patch! Fox and Jane look like they had fun,such cuties in the wheelbarrow!